Should your Vero Beach nonprofit hold virtual board meetings? Your not-for-profit’s board of directors meetings don’t always need to be performed up-close and personal in the same room. Many organizations hold virtual board meetings via phone and with Web-based applications. It can be difficult to secure full board meeting attendance, but going virtual might allow members to attend meetings they otherwise couldn’t. And virtual attendance can make board participation more attractive to potential members. Knowing they won’t be expected to show up in person at every meeting may make busy candidates more likely to commit their time. Of course, virtual meetings aren’t without obstacles. In teleconferences, participants won’t be able to read each other’s facial expressions and body language. Even in videoconferences, participants may be unable to observe these cues as easily as they could in person. This can potentially lead to misunderstandings or conflicts. The chair might find it difficult to shepherd discussion, especially with larger boards. Confidentiality is a concern, too. You must be able to trust that the board members are alone in their remote locations and that no outsiders are privy to the discussions. Virtual board meetings require extensive preparation, particularly for the inaugural meeting. Don’t spring a virtual meeting on board members without first conducting and sharing research, discussing the implications of such a change at an in-person meeting. It’s up to your nonprofit’s staff to ensure that everyone has the necessary equipment. Test the system ahead of time to ensure it works as needed and establish backup plans in the event of technological failures. Staff should also send board members any supporting materials well in advance of meetings and consider making them available online during the event. Recognize that voting on any issue will need to be verbal and not anonymous, with each board member identifying himself or herself. Also, certain issues are better suited to virtual discussion than others. 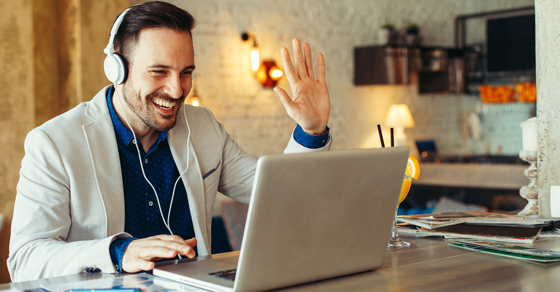 Virtual meetings generally work best for straightforward discussions with no controversy — for example, updates from development staff or the formal approval of a policy. Don’t switch to virtual meetings without checking applicable state laws for nonprofit board meeting requirements. Some states, for example, allow teleconferencing but not videoconferencing. And amend your bylaws to permit virtual meetings before holding them.